Not every client is a good client! In that first flush of life as business owners, we often say 'yes' to anyone who wants to hire us. We think the most important thing is establishing a client base. As long as we're getting hired, that's a good thing, and it's all that matters. But after a while we learn an important truth: Not every client is a good client. In fact, some of them are truly toxic -- they contaminate our business environment and breed negativity about the work, they infect employees by lowering their morale, they exhaust and debilitate our energy reserves, and they drain our coffers. 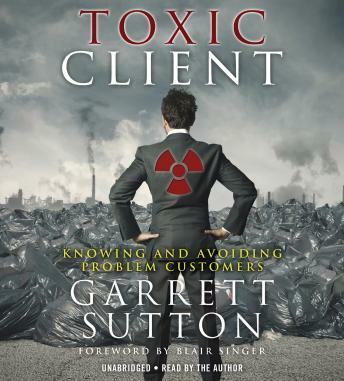 To succeed in business you must learn how to know and avoid the Toxic Client. With useful stories everyone can relate to this audiobook will show you how to handle the problem customers.